The Q-Vul® is a vulnerability testing and reporting network appliance built using OpenVAS (Open Vulnerability Assessment System). OpenVAS, previously called GNessUs, began as a fork from the Nessus® vulnerability scanning tool after Tenable Security removed its Nessus® open source version in 2004. OpenVAS has evolved since then both with respect to its scanning engine, and the vulnerabilities it can find and identify. Currently, it can find and identify more than 47,000 security vulnerabilities in a variety of operating systems, including Windows, IOS, and Linux. 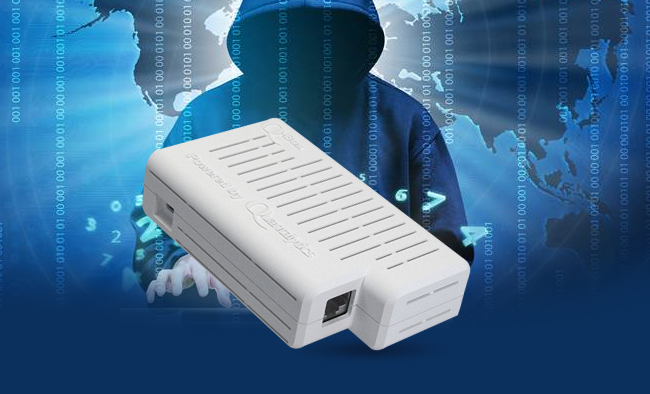 The Q-Vul also can identify vulnerabilities in various network appliances, including routers, smart switches, and IoT devices. Usage is through a Web interface. The Q-Vul network appliance automatically updates OpenVAS’s Network Vulnerability Tests (NVTs) using the OpenVAS NVT Feed. The OpenVAS NVT Feed is updated at least weekly as fresh vulnerabilities are found. In addition to using the public NVT feed, users can add private NVTs. The Q-Vul network appliance is intended to be placed on a network and run scans either after the release of new NVTs or upon the introduction of new hardware or software. Scans can be scheduled as frequently as desired. We recommend automated nightly scans in addition to scanning after NVT updates. OpenVAS is the leading open source enterprise-class vulnerability testing and reporting package for software and hardware, including IoT devices. OpenVAS includes automated updating of the Network Vulnerability Tests (NVTs) as well as the ability to schedule scans. OpenVAS also includes comprehensive reports. ModSecurity® (ModSec) is the leading open source Apache attack protection package, used to harden the Q-Vul’s built-in Apache web server and prevent conceivable attacks. Webmin is the leading open source Web GUI package for server configuration and maintenance. Webmin also allows for the linkage of multiple Q-Vul appliances for simplified administration. HA Proxy is the leading open source package for automatic failover and load balancing. Up to 32 Q-Vul network appliances may be linked for automatic failover or load balancing for coverage of extremely large networks. Administration is done through a web gui. The Q-VUL network appliance has both a 1000 mbps (gigabit) NIC and 802.11 b/g/n WiFi. Vulnerability scanning can be set up on either network interface. The Q-VUL is available as a Virtual Machine (VM). The Q-VUL network appliance is completely administered through a Web GUI. This makes all features easily available even to novice network administrators. No Command Line Interface (CLI) or Linux skill is required. Notifications are provided by e-mail using SendMail, which is configured with a module in Webmin, and syslog entries. The Q-VUL network appliance can be integrated with Nagios® on the Q-Box® as another notification route. The SMS notification is available as an option. The Q-VUL network appliance can also be integrated with the Q-Log® network appliance or any other syslog or SIEM solution. Q-VUL® and all registered trademarks above are property of their respective owner(s).